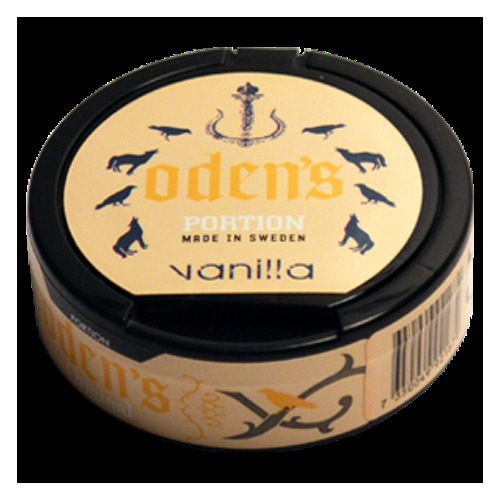 Odens Vanilla snus is super tasty and offers sensational flavor. It mixes traditional tobacco flavor with a vanilla. This snus comes in original, brown portions. 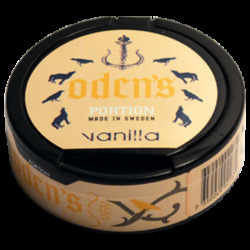 How do you like Odens Vanilla Portion? Rate it! At first the taste is kinda strange, but when you get into it (2-4 days), it can be one of your favorite snus products! Really good taste, not strong tobacco hit! Try it! Do you like desserts as much as I do? 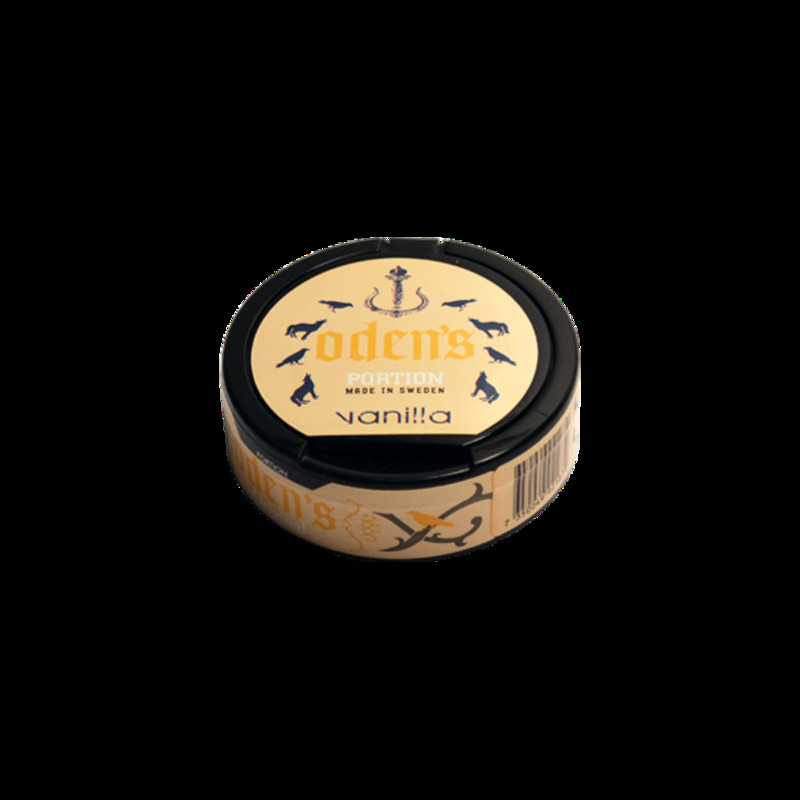 Then you will love this Odens vanilla snus. When you open up the can, a godly vanilla scent will blow up your nostrils. The taste is instant as well, it’s full, delicious, sweet. This is one hell of an addicting flavour. You will definitely need more than one roll of this stuff. And the variety of drinks to enjoy it with is crazy. It tastes excellent with bourbon, brilliant with cola, superb with a morning coffee. Try out all of the drinks you can possibly think of, with this snus in your lip. You will fall in love with it, just like I did.